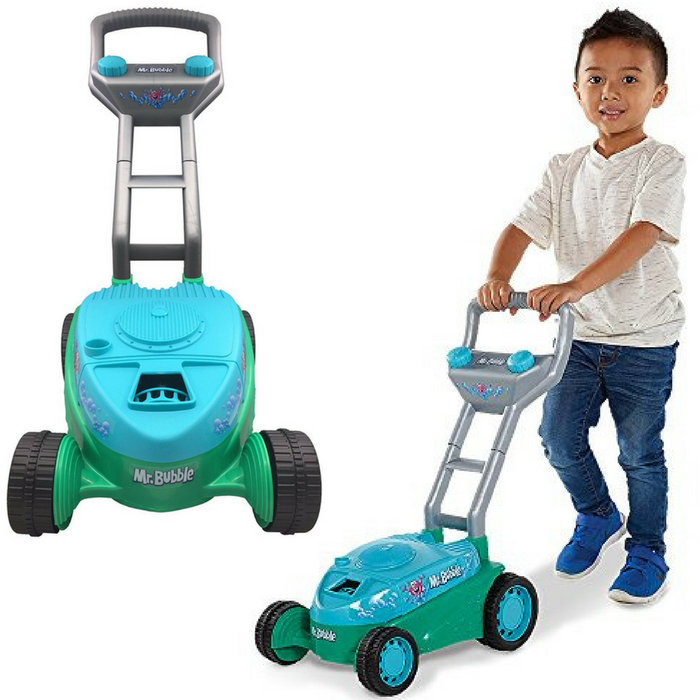 Lawn Mower Toy Just $9.99! Down From $33! You are here: Home / Great Deals / Amazon Deals / Lawn Mower Toy Just $9.99! Down From $33! Head over to Amazon to score this Lawn Mower Toy for just $9.99 down from $33.13 PLUS FREE shipping with Amazon Prime or for orders $25 and more! This Mr. Bubble Lawn Mower push toy makes oodles of bubbles when your child pushes around your yard or house, providing hours of entertaining preschooler or toddler activities. Makes lifelike engine sounds when your child is “mowing” the lawn! Rolls easily and blows bubbles on grass, sidewalks, driveways – just about anywhere outside! Learning to accomplish a “grownup” task like mowing the lawn nurtures self-confidence. REALISTIC ENGINE SOUNDS: Lifelike motor sounds fill the air as your toddler “mows the lawn” with this push mower toy!